Sporometrics is located in the Dufferin Liberty Centre, occupying the block at the south east corner of Dufferin Street and Liberty Avenue. We are in building C, which is the southern most wing of the complex. Street parking is available on Dufferin Street with the exception of afternoon rush hour (4-6) during which time towing is eagerly applied. Paid public parking is available in the lot on the north side of Liberty Avenue, just east of Dufferin (don’t worry about the threatening gate, they don’t close it). 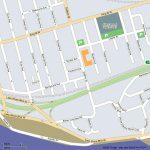 An alternative is the paid public lot on the north side of Liberty Street further east just behind Lamport Stadium between Fraser and Jefferson Avenues. 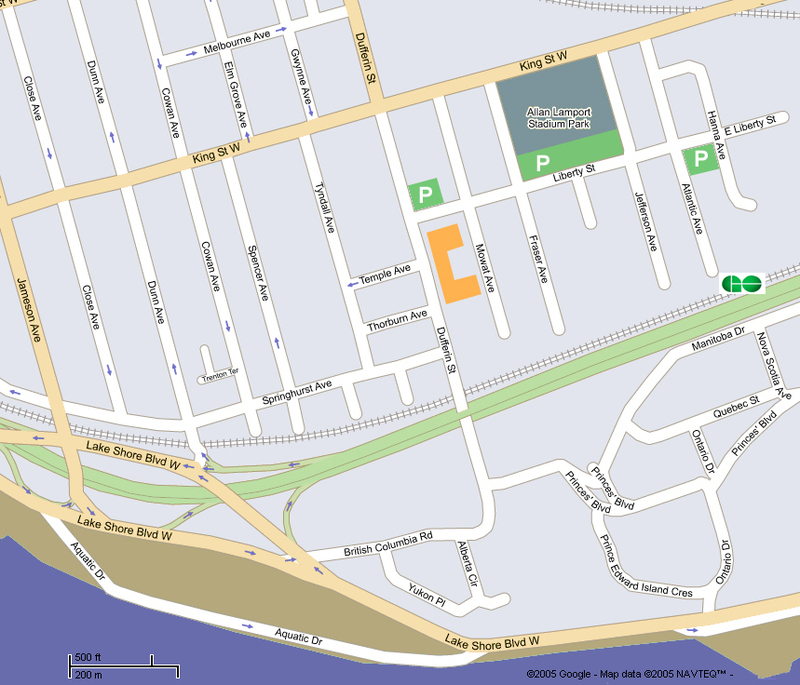 Lastly there is a public lot 3 blocks east of Dufferin on the south side of Liberty at the corner of Atlantic Avenue. Whatever you do, don’t park in the courtyard of the Dufferin Liberty Centre. This space is exclusively for permit parking by tenants. The lot is punctiliously patrolled, and unauthorized vehicles are expeditiously towed away to some distant, apocalyptic annex by a member of the perpetually circling flock of vulturous tow-trucks.